"It's not about what it's about, it's always about the people." This is a great quote from American celeb. spiritual teacher Marianne Williamson. She couldn't be more right! Marketing managers sometimes have a hard time getting their leaders and CEOs to buy into digital marketing. The job all too often is to sell digital marketing to your CEO. I hear you say "I shouldn't have to". But remember, your CEO doesn't know as much about digital marketing as you do, so you need to find a way to make it make sense to her. 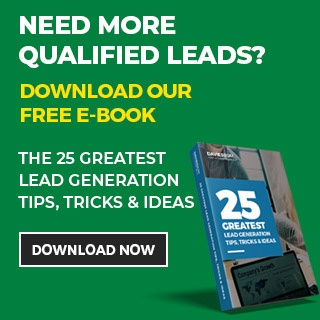 Getting a digital marketing budget approved is about focusing the attention less on 'digital marketing' and more on the way modern b2b buyers are choosing their b2b service providers. There's a difference between 'digital marketing' and 'marketing in the digital age'. 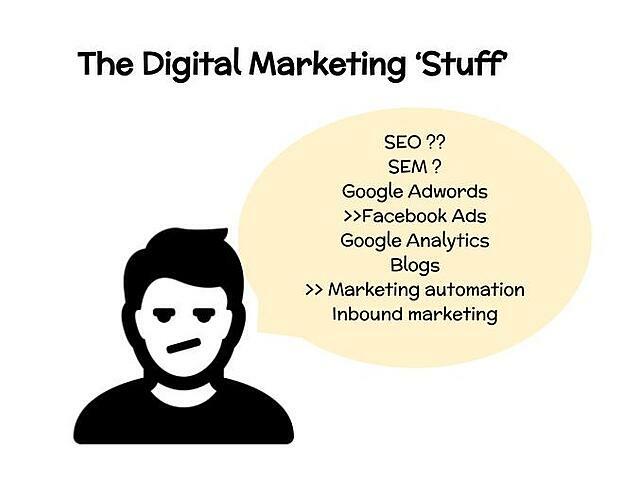 Marketing in the digital age isn't actually about the 'stuff' like SEO, SEM, analytics and marketing automation. B2B marketing in the digital age is about the fundamental change in the buying behaviour of your prospects. Your sales people don't own the sales funnel any longer. We now live in a Google first world where we educate ourselves online and rule prospective vendors 'in' or 'out' of the running before they even know we were interested in the first place. Buyers are putting you through the ringer long before you even know they exist. We're a digital marketing agency, so typically people find us online - reading our blogs, downloading our white papers etc. They're finding out if we're the guys for them. They'll either keep us on their shortlist or weed us out if we don't fit the bill for them. And they'll be doing the same with you. Digital marketing is all the stuff you do to help your self-educating buyer find you online and once they've found you, stick with you until they're ready to buy. It's critical to align your marketing to the way modern b2b buyers buy to ensure they'll find you and stay with you. As we say here, marketing these days is about 'help not sell'. Your boss probably doesn't really understand digital marketing and he's not going to admit it to you. In the age of digital marketing many people still don't understand the fundamental change that has occurred in b2b buying behaviour. The game is now online and your job as a marketing manager is to get your boss to understand they need to shift the focus onto the way your buyers and prospects buy. Before you sell in the digital marketing stuff, focus on why you're undertaking digital marketing in the first place. It's about aligning your marketing to the way buyers buy. It's not about the marketing, it's about focusing on the buyer.